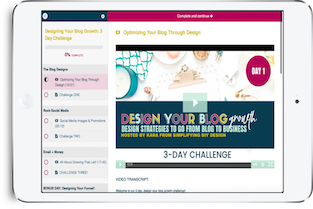 Pretty quickly after I started blogging, I learned that email list building was incredibly important. I searched for list building techniques all over the Pinterest-sphere and while each and every blog had a slightly different spin, the consensus remained: make it really, really easy for your reader to subscribe. So I started researching the best places to put opt-in forms and everything else you could possibly learn about opt-in forms. Then I stumbled upon this blog, that had the prettiest opt-in form I’d ever seen. It was perfectly branded with her brand pattern in the background and it jumped right off the screen to me. Not only that, but when I entered the site I wasn’t met with a popup but this slide-down thing. It covered the whole screen which got my attention, I read it and started scrolling when I noticed the opt-in form started scrolling too. I could scroll right through it! Now, being a newbie blogger- I had no IDEA what this magic was and frantically started searching (although google wasn’t really understanding what I meant by “scroll down thingy”). I’ll spare you the trouble: it’s called a welcome mat or scroll mat. Once I figured that out, I quickly found Thrive. 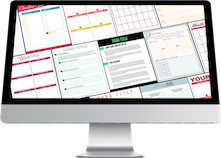 Thrive gave me that welcome mat, it gave me the option to do links that popped up opt-in boxes, and it gave me the ability to create my own super pretty, perfectly branded opt-in forms. 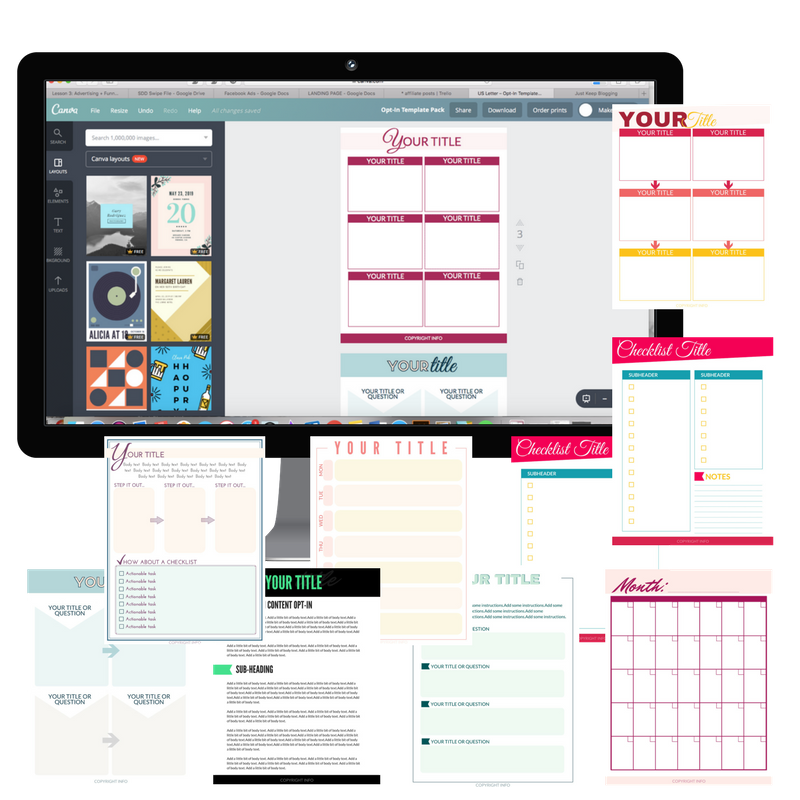 Not only do they have tons of templates and make it incredibly easy to drag and drop anything so it’s exactly how you want it, but you can add backgrounds, mockup images, and customize the text to draw your readers in. Like most things, it’s easier to show than to tell. 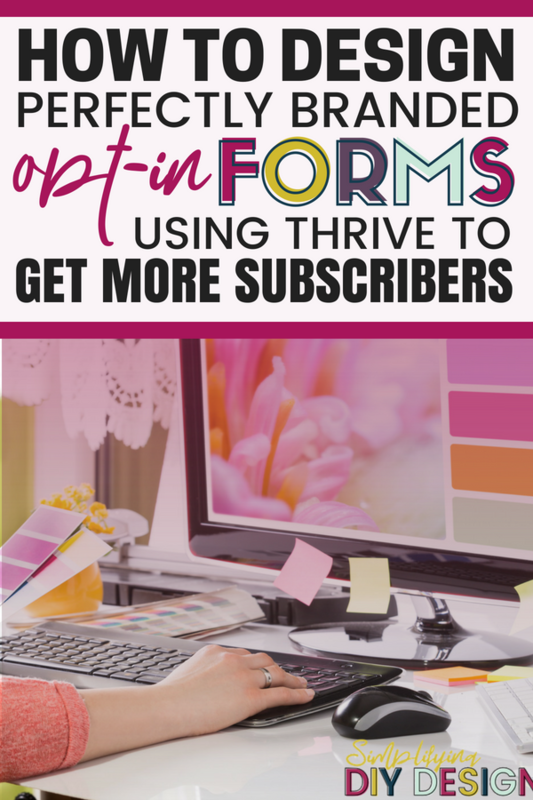 So check out the video below to see how I customize an opt-in form in Thrive. 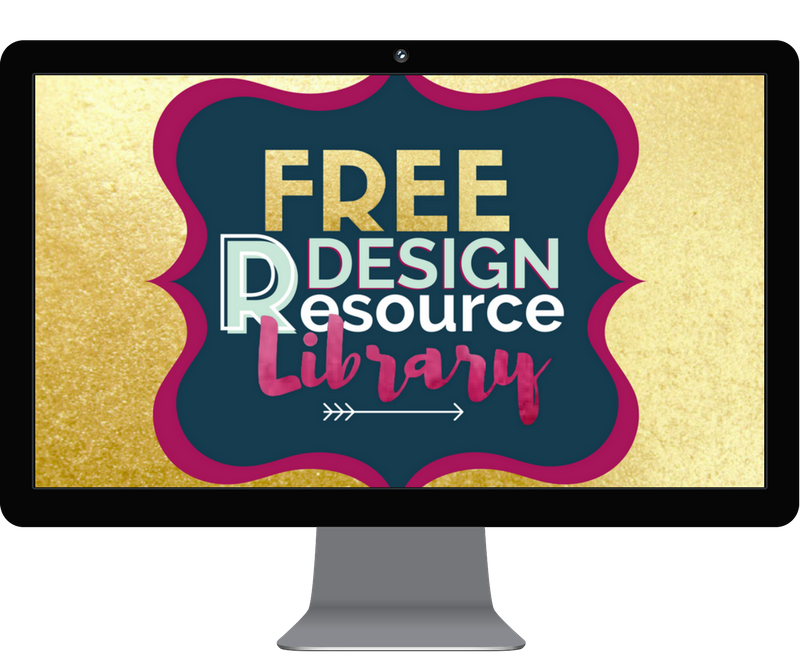 CHECK OUT OUR OTHER DESIGN TUTORIALS AND CANVA TEMPLATES BY GETTING ACCESS TO OUR DESIGN LIBRARY!